Click here to read about Eid-e-Gausia. 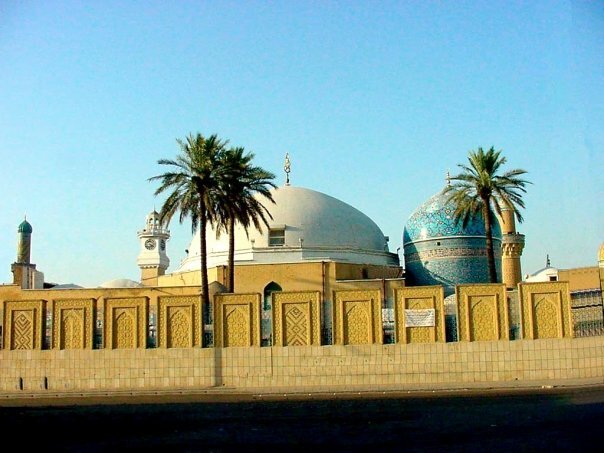 In the end Abdullah Somai‎ رحمتہ اللہ علیہ admitted that he had served him in excess of the price and desired to reward him. Abu Saleh‎ رحمتہ اللہ علیہ hesitated in accepting it but when Abdullah Somai‎ رحمتہ اللہ علیہ persisted, he relented.He said he had a daughter, blind of eyes, handicapped of hands and feet and wanted to give her in marriage to him. In this way Abu Saleh‎ رحمتہ اللہ علیہ was married to Abdullah Somai's‎ رحمتہ اللہ علیہ daughter, Syeda Fatimah ‎رحمة الله عليه. To his astonishment found her wondrously beautiful and wholesome. He complained to his father-in-law that he found her exactly the opposite to what he had described her. Abdullah Somai‎ رحمتہ اللہ علیہ insisted on the truthfulness of his statement. She was blind because she had not seen any Ghair Mehram (a man who could marry her). She was mute because she had not uttered a word repugnant to the Shariah (Islamic law). She was deaf because she had not heard anything inconsistent with the Shariah. She was handicapped of hand and feet because she had never moved in the direction of evil.